PUNTA GORDA, FLORIDA – In a daring literary experiment, Malcolm J. Brenner, author of the human-dolphin love story Wet Goddess: Recollections of a Dolphin Lover, has resumed publishing deleted chapters from the original first draft of the controversial 2010 novel. “This material was originally first published several years ago on my personal blog at http://wetgoddess.net,&#8221; Brenner said. Tight finances forced him to discontinue the web page. “Wet Goddess” has sold about 1,450 copies in 18 countries, and has been translated into Russian. It is available as a 341-page photo-illustrated trade paperback from Amazon. com, and as an ebook from Smashwords.com. PUNTA GORDA, Florida – If you’ve wanted to read something by Malcolm J. Brenner, now would be a great time to do so! Both Brenner’s ebooks Wet Goddess and Growing Up in the Orgone Box are on sale March 5-11 through Smashwords at savings of up to 50% off the regular $6.99 price. Brenner is waiting to hear from Audible whether his third book, the science-fiction novel Mel-Khyor: An Interstellar Affair, has been accepted for distribution. It’s his first attempt to market an audio book. As part of the 2017 Punta Gorda Literary Fair, Brenner will speak on “Writing the Offbeat Work” at 4 p.m. Thursday, March 9 at the Punta Gorda campus of Florida Gulf Coast University, 117 Herald Court in beautiful downtown Punta Gorda. Admission is free. Brenner will be at the Punta Gorda bookseller’s street fair to autograph copies of his work on Saturday, March 11. The award-winning 2015 short documentary film “Dolphin Lover,” chronicling Malcolm J. Brenner’s 1971 love affair with a dolphin named Dolly, is now available on YouTube, the film’s producer said Thursday. Joey Daoud announced the distribution arrangement on Facebook. In honor of National Dolphin Day, interested viewers can see the film for free Thursday, April 14 at Coffee and Celluloid’s web site. Co-Directed by Daoud and Kareem Tabsch, “Dolphin Lover” premiered at the 2015 Slamdance Film Festival, where it won Honorable Mention for Best Documentary Short Film. It went on to play a multitude of festivals around the world, garnering critical acclaim and awards, including the top prize for Documentary Short Film at the Los Angeles Film Festival. The film’s controversial subject entered the popular zeitgeist and led to significant media attention, from Howard Stern to Rush Limbaugh, @midnight with Chris Hardwick on Comedy Central, Watch What Happens Live on Bravo, and on media outlets like Vice, New York Post, Huffington Post, Daily Mail, Daily Mirror and countless others. Set in 1971 on the Southwest coast of Florida, “Dolphin Lover” tells the incredible true story of Malcolm J. Brenner, a college student who lands his first professional gig as a freelancer photographing the marine animals at Floridaland, a tourist trap disguised as a roadside amusement park. The experience would launch Malcolm’s career as a photographer and introduce him to his one true love while changing his life forever. The assignment sent Brenner on a year-long romantic and sexual love affair with Dolly, a captive bottlenose dolphin. Brenner chronicled his relationship in a novel, Wet Goddess, which served as inspiration for the short film. The film features an in-depth interview with Brenner as well as archival footage and animation to tell of Brenner’s unique experience. “Since we made the film we’ve been getting countless requests asking us where to see it, we thought there was no better way to share the film with the world than to release it on National Dolphin Day as a gift to dolphin lovers everywhere” Daoud said. The film is currently available for purchase or rental via iTunes but will be released free online via YouTube. “Audiences at film festivals have really championed the film at every screening we’ve had, so we’re really eager for the film to be seen by a wider audience and hear what they think. One thing’s for certain, you won’t be able to stop talking about this story,” added Tabsch. 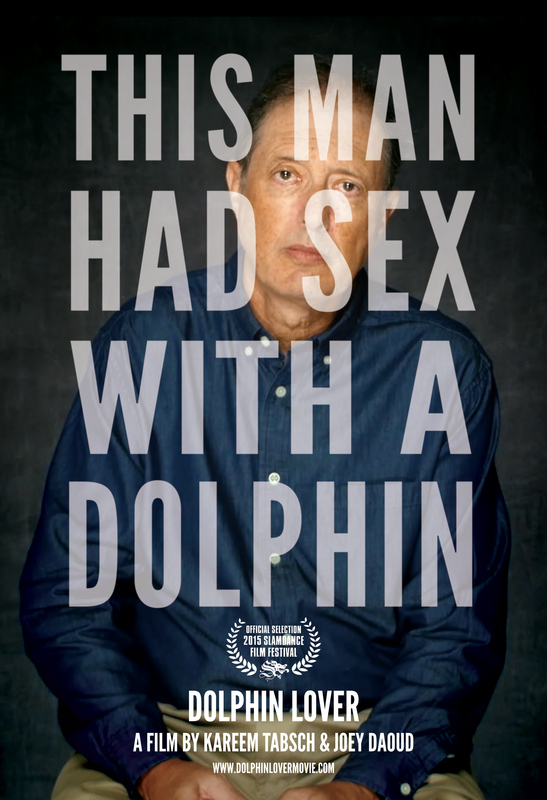 Viewers can watch the film starting on April 14th for free at dolphinlovermovie.com. PUNTA GORDA, Fla. – The controversial and award-winning short documentary film “Dolphin Lover” will be available for purchase on iTunes, Vimeo, Xbox and other video on demand sites starting Tuesday, Oct. 27, the film’s producer said Monday. Joey Daoud added that the 15-minute film, which was selling in pre-order for $2.99, would be available on Hulu on Dec. 27. “Dolphin Lover” recounts the true story of writer Malcolm J. Brenner’s intimate relationship with Dolly, a female bottlenose dolphin kept at Floridaland, a 1960’s amusement park located in Nokomis, south of Sarasota. That relationship became the basis for “Wet Goddess: Recollections of a Dolphin Lover,” Brenner’s 2010 novelization of those events. The book has sold more than 1,250 copies in 18 countries world-wide, including China, and is currently being translated into Russian for release there. “Dolphin Lover” took Honorable Mentions at Slamdance 2015 and Indie Grits 2015. It was awarded Best Short Documentary at the Los Angeles Film Festival and was runner-up for Best Documentary Short at the Sidewalk Film Festival.